for a home loan mortgage of any type and they also want the most favourable terms for themselves, that’s probably only human nature. The problem everyone has used that their opponents, usually one of the big four banks in Australia has the exact opposite view of the home loan market than their customers have. The banks but also have had many years practice at getting the best deal for themselves and that of course means, not the best deal for a borrower. The banks say that there are basically three kinds of customers, the first kind and their favourite kind is what they call MFI’s. MFI is bank speak for a customer that has a ‘main financial institution’ and is extremely unlikely to ever even think of changing to another institution. The second kind of customer the banks call a sticky customer, sticky customers have multiple products with one financial institution and are more likely to stick with them than to change. The final type of customer is a customer who has multiple accounts spread across multiple institutions and has no loyalty to any single financial institution at all. Over the time you spend growing up before you enter the market the banks also spend a lot of time and effort to condition you, they condition you to expect interest rate hikes when there is no actual earthly reason for a rate hike, they also condition you to think rate cuts are neither healthy nor expected. The other thing they teach you before you ever start looking for a home loan is that their terms and conditions, including the interest rate, are not negotiable. This last of course is a complete myth, you have to remember first and foremost that the bank or other financial institution want your business and they are prepared to negotiate within certain limits to get the business, the real trick you need to master is to know what limits your local representative will have imposed on them by head office. they will probably be able to negotiate heavily on the terms and conditions of the loan. Even getting a better interest rate or better terms and conditions may save you thousands of dollars over the life of the loan. Of course, getting a lower interest rate and better terms and conditions would be the holy Grail, which might seem like a myth but is not actually, everything is up for negotiation within certain limits, that should be your guiding light when you are applying for a loan if you are buying an investment property. In Australia most home loans come from one of the big four banks and the interest rates they will negotiate about will not vary much between the four of them, they were generally stick within a narrow range and you need to know before you sit down with them what that range is. If, purely for the sake of argument, they currently advertised 5.5% for new home borrowers you might find out that they are prepared to drop down to 5% to get new business. It would be a good negotiating tactic to initially asked for a percentage rate below 5%, just to see how they react but getting 5% as your loan rate should be your ultimate goal in this circumstance. Knowing what the lowest interest rate they will go down to is a critical first step to your negotiating successfully. Generally it is accepted that the big four offer close to their lowest rate to new borrowers so that is probably we should start your research. Another research tactic that seems to be regularly recommended is to ring up the bank and tell them you are enquiring about borrowing a large loan and just asked them flat out for their best pricing. You have to understand a couple of things, one is that your current loan if you have one, will probably be at a higher interest rate than they are offering to new borrowers and the second thing is, not all lenders are competitive for all types of loan. It is also recommended you find out what if anything would prevent your institution from negotiating. 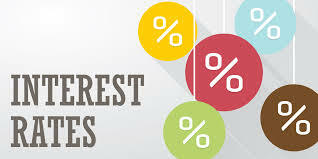 Generally it is accepted that the bigger the loan, the lower the interest rate. Also the bigger your deposit/equity at the start will get you a much better deal with some lenders, we are talking a minimum 20% deposit/equity from the start. 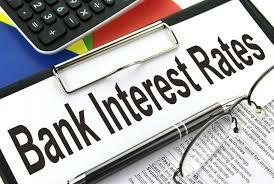 Most financial institutions will also offer you a better interest rate on a home loan then they will if you are buying an investment property. And finally nearly all institutions will offer a better rate to win a new customer. And almost sure way of getting a healthy discount it is if you have a guarantor loan, but if you do not have a guarantor do not let that dissuade you from sitting down with your lender to negotiate a better rate. 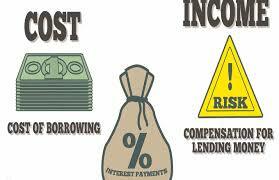 Also most institutions will not ask for higher rates on investment loans if they are combined with a home loan. Once again it should be stressed that the more equity you have the better you are negotiating position. Each institution will have its strengths and weaknesses, part of your job is to find out which one suits you the best. Most people who actually try and negotiate their interest rate and fail do so because they are mismatched with their institution. Using mortgage brokers is one way of determining if you are with the right lender, they will look at your circumstances in total and then recommend you apply for a certain loan, if that loan is with another institution is because you are with the wrong one most likely than the one they are recommending is the best deal for you in your current circumstance. If you are a loyal customer, either the MFI type or a sticky customer then the bank will almost never offer you the best deal no matter what you do, you are going have to convince them that if they don’t offer you the best deal you will walk straight to one of their competitor’s. To be honest the banks firmly believe, and this is based on their experience and statistics, most customers are too lazy to refinance their loan to save what amounts to $100 a month, again, your job is to convince them that you are not lazy and that you are also not mucking around, you really do want the discount and unless they give it to you, then you are out of there. One of the fastest ways to convince them that you will refinance is to get a third-party organisation, like a mortgage broker, to call on your behalf, this tells them that you are seriously shopping around. It must be said that there are some institutions in the marketplace, ING Direct being one, they do not negotiate on the interest rates for their home loans ever. The stated reason is that they already give you the best possible deal going in, even so that should still not deter you from asking for a better deal. In conclusion let me say this, the banks like to sit there as these giant monolithic demigods, they like to try and intimidate people by their sheer size and power but the endgame is, both you as the borrower and them as the lender need each other, always remember that.